It seems that Ladcrooks are getting desperate. Untold emails offering the email scam of sending users to the site so that they are conned. Taking money of customers for having dormant accounts, and, giving rubbish prices on events. Clearly playing with them is an attack on your hard earned cash and should be avoided – ALWAYS! 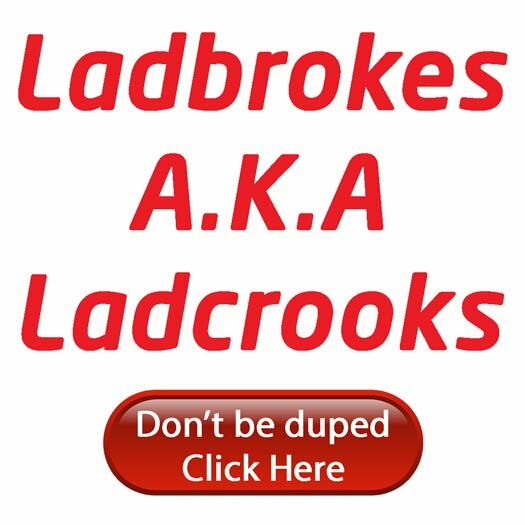 PokerKnave's Blog betting, gambling, ladbrokes is ladcrooks, ladcrooks, online poker, sport. permalink.